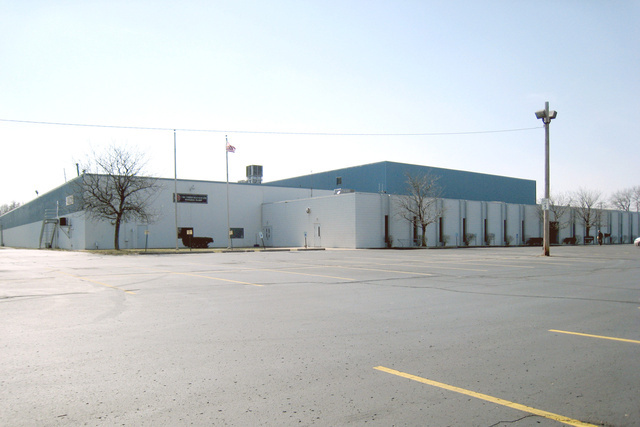 Detailed information about industrial property which situated in Chelsea (48118) city, Michigan state on 5800 Sibley Road. Additional Information: Located 2.5 miles from I-94 expressway. Drive thru building with buss duct and airlines. Cranes are as follows: (1) 1.5-ton, (2) 2-ton, (1) 3-ton, (5) 5-ton, (1) 10-ton,(1) 15-ton, (4) 20-ton. The six larger cranes are located in the (2) 50' x 402' bays and are approximately 25' under the hook. Shop area includes approximately 10,000 sq. ft. of engineering offices on two levels of 5,000 sq. ft. each. 2012 RE Taxes were $95,027.32. NOTE: Please contact with Jay R. Chavey if you want to get more accurate details about pricing and availability of industrial property For lease. All information about industrial property For lease that located on 5800 Sibley Road, Chelsea, MI 48118 was obtained from reliable sources, but we cannot guarantee that all data about pricing, details of the building and property was completed without error or has not been changed without notice or withdrawal without notice. If you want to get complete and actual information, please contact with agents.